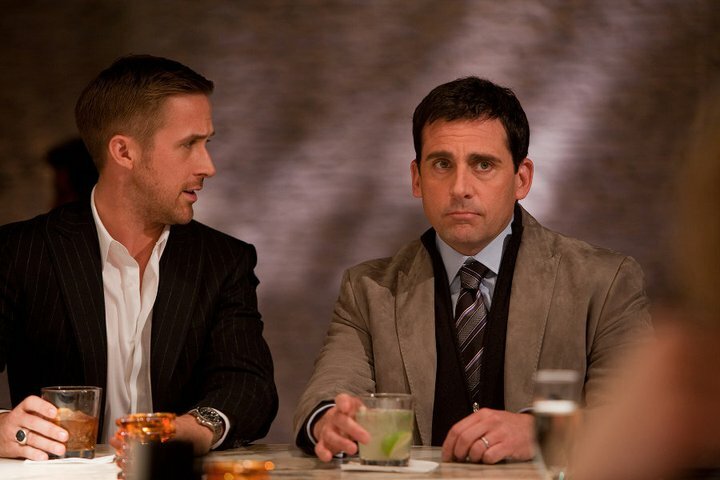 Three Ways to Look More Like Ryan Gosling: Suits from Crazy, Stupid, Love. Romantic Comedy? Yes. Chick Flick? Certainly. But if you’re anything like us, you found yourself nodding along and fighting the urge to high-five your TV as Ryan Gosling’s character, Jacob, took Cal Weaver, played by the ever-hilarious Steve Carrell, through his first menswear makeover. Jacob has the kind of look we like at Astor & Black. Confident. Tailored. Unapologetic. The guy can dress, and he knows it. Kudos to the costume designer; Gosling looked incredible in every suit they put him in. 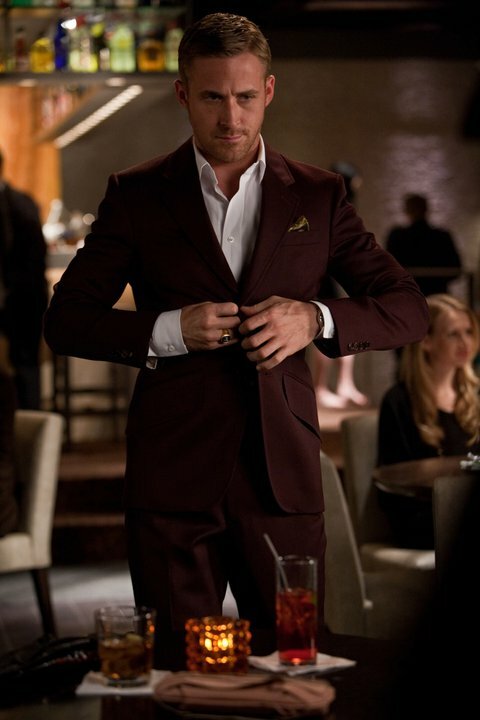 This burgundy suit is perfection. We have a similar fabric in our Spring/Summer Look Book (KT-115654-160n), and it’s absolutely stunning in person. Do you know what goes together better than a peak lapel and a wide chalkstripe? Nothing. Get this look in charcoal (KT-2306-135N), black (KT-2308-135N), or navy (KT-2308-135N). Custom suits are about great fabric and impeccable fit–certainly. However, the details are what sets us apart. The hunting-jacket inspired details seen here are favored among many Astor & Black clients, including NBA star Dahntay Jones. For this look, ask your professional clothier to show you LP 71208PL, a gorgeous navy fabric with a subtle plaid pattern from the Tasmanian collection by Loro Piana. A clothier can walk you through the numerous combinations of details you can do on your collar and cuffs. Click here to contact an Astor & Black Professional Clothier today! All photos belong to Crazy, Stupid, Love.